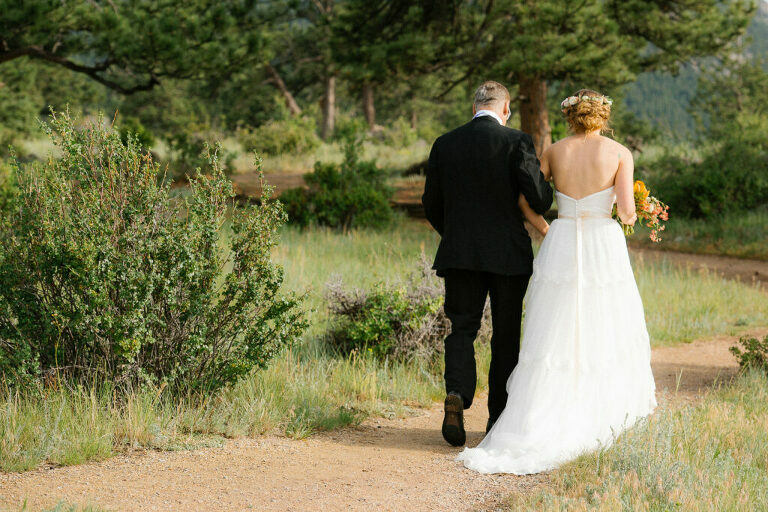 Jessica and Jacob contacted me about photographing their June 2016 elopement in Estes Park. I suggested a location and we settled on a date that worked. The next step was to find an officiant. They found Juli from Sasi Spirit Weddings and the wedding planning was just about complete! 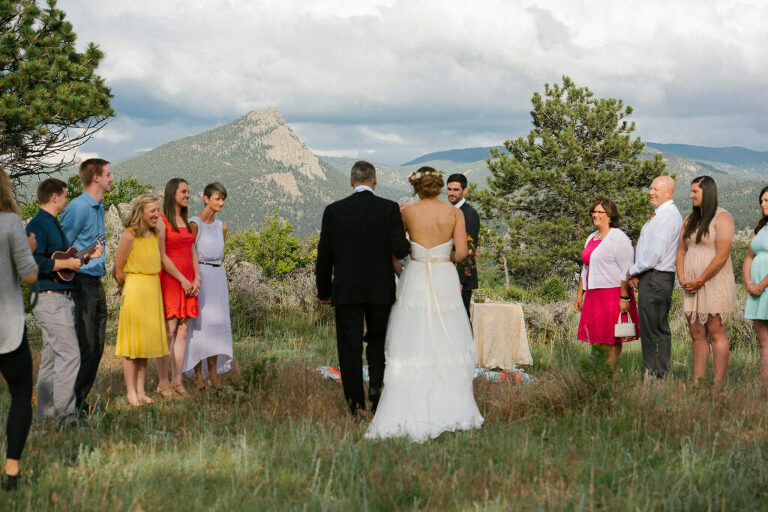 A few months prior the the elopement date, I received a message letting me know that some close friends and family would be attending, and so the elopement had turned to a very small, intimate mountain wedding! 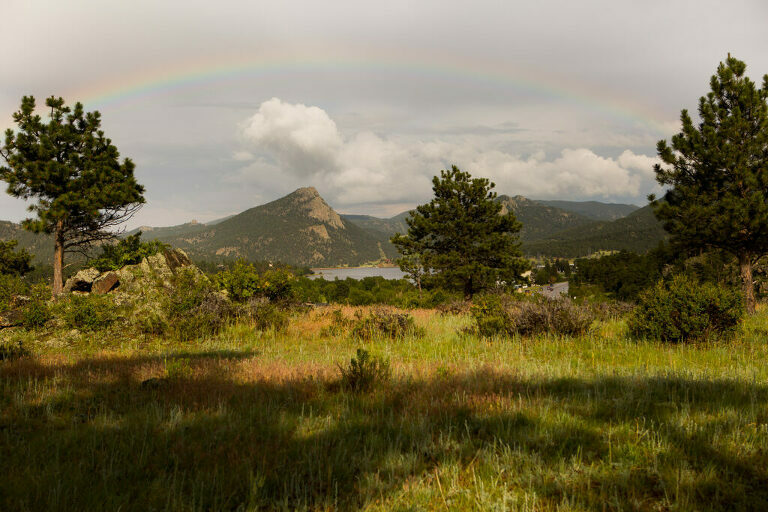 The day of there was a threat of rain, but after a brief sprinkle, the clouds cleared and we had a gorgeous few of the town of Estes Park! Jessica was stunning with her flowing dress and flower crown. She wore the perfect accessory, a locket that belonged to her grandmother. Jacob wore a bow tie that matched Jessica’s look perfectly! 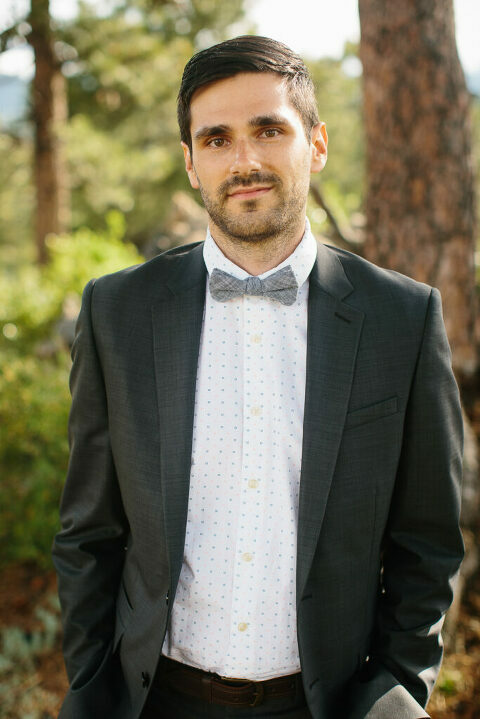 He wore a perfectly fitting suit when he greeting his bride at the top of the aisle. The perfect ceremony was concluded with the bride and groom joining hands in a bridge and looking each other in the eyes with wide smiles. Following the ceremony everyone lingered to greet the newly married couple, and take some pictures. I also had the opportunity to whisk the couple away for some romantic photos down by the late. The perfect, intimate ceremony for these two loving souls… and one of my favorite weddings of the year! 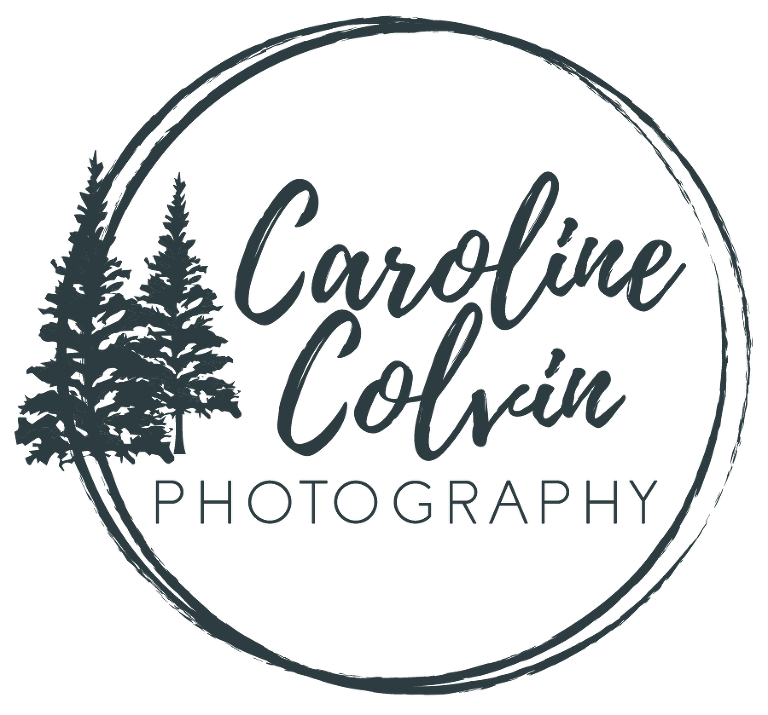 « Colorado Wedding Photographer- Best of 2015!